I love making Halloween decorations! I also love to make CHEAP decorations. I don’t think I can find a good reason to buy a lot of what I see in the stores. 1. Because I want my kids to grow up knowing that they can build things, grow their own food and be creators instead of just consumers and 2. I hate spending money on junk from China that’s most likely built in sweat shops. I am pretty happy with a lot of what I can make, too. I live in South Texas. Halloween celebrations are almost as big as high school football down here. I have seen some amazing stuff (and I’m a little competitive, craft-wise!) and we have learned to really get into and appreciate Halloween. A couple of years ago I made some packing tape ghosts. Last year I made a dead body and some ghosts with styrofoam heads covered with cheesecloth. This year I’m focusing on spiders, grave stones and witch circles. It’s a good thing we have a big front yard! First you need to go to your local hardware store and pick up a couple of things. 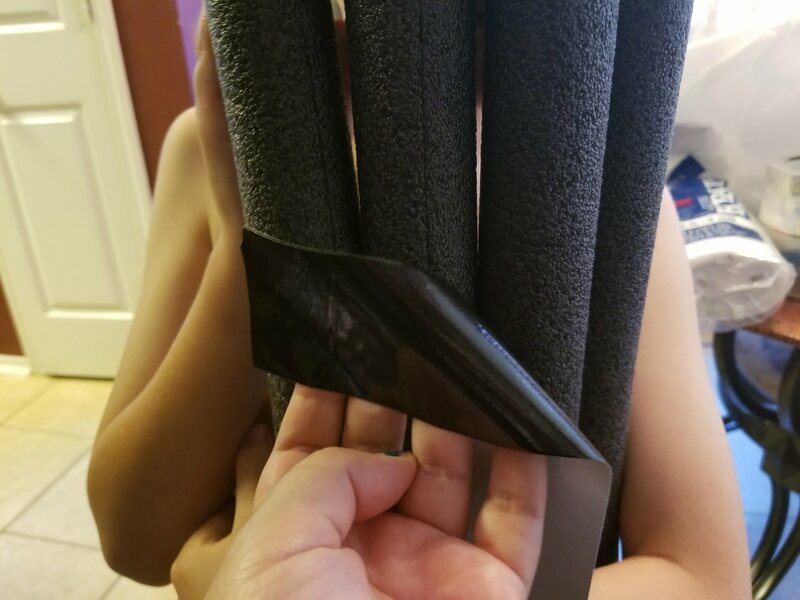 One is black duct tape. You’ll find it in the paint area with all of the other tapes. 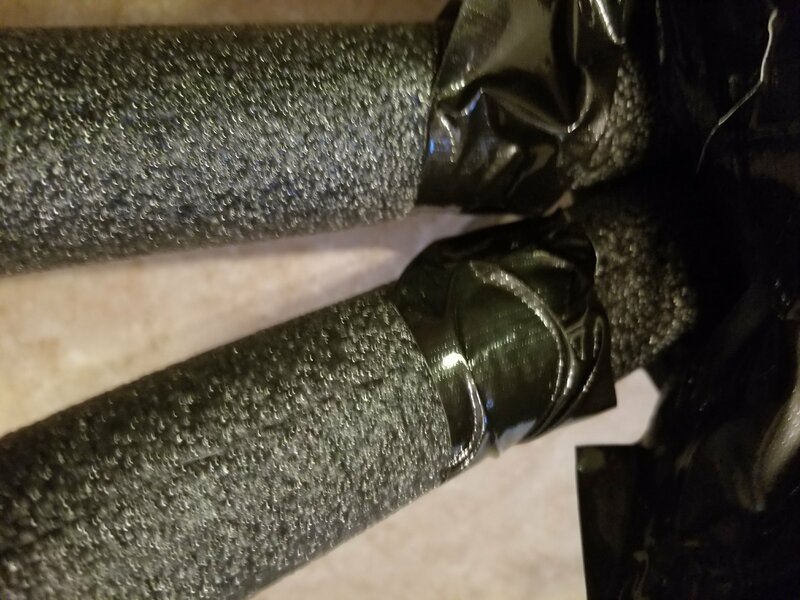 Second you need to head over to the plumbing section and get some foam insulation tubing. 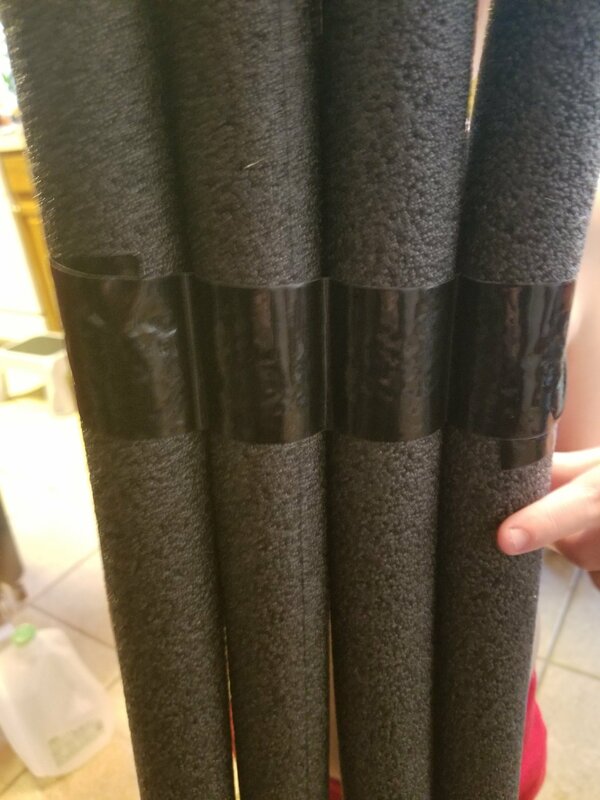 The tubing comes in 6 foot sections and I got the cheapest, which were about 97 cents a piece. 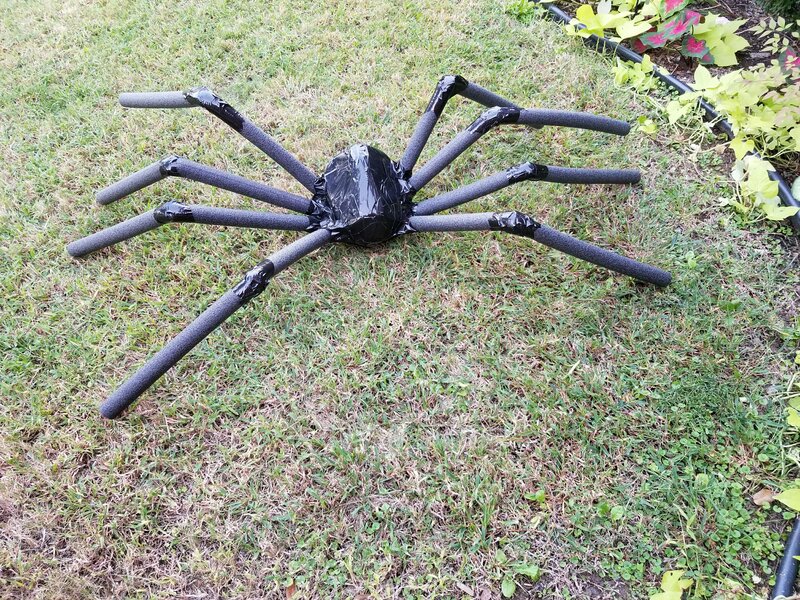 You will need 4 of the six foot lengths for each spider. 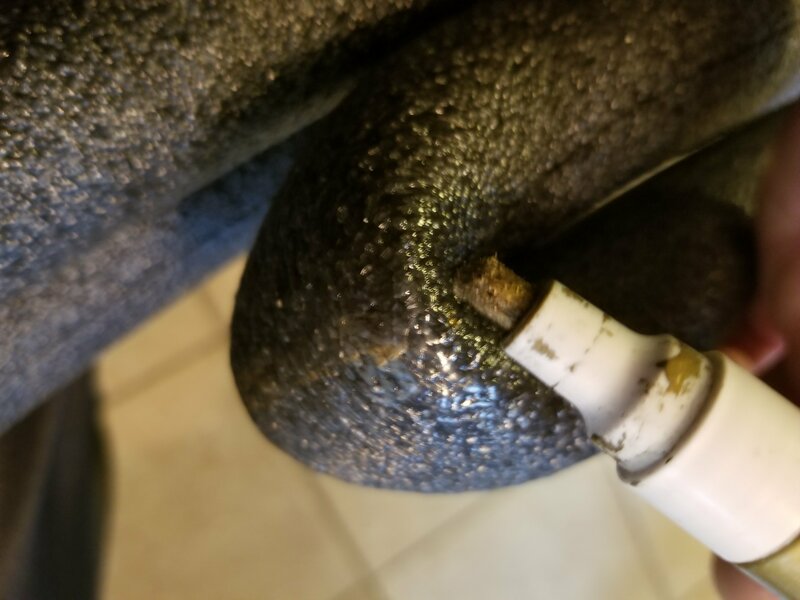 First you need to find the center of the tubing. 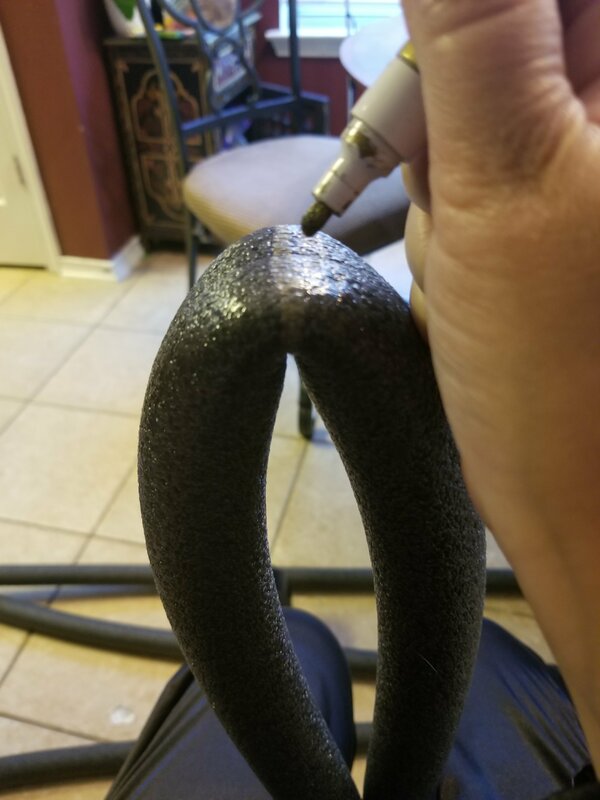 Bend a tube in half and mark where the middle is with a paint pen. Straighten the marked pipe out again. 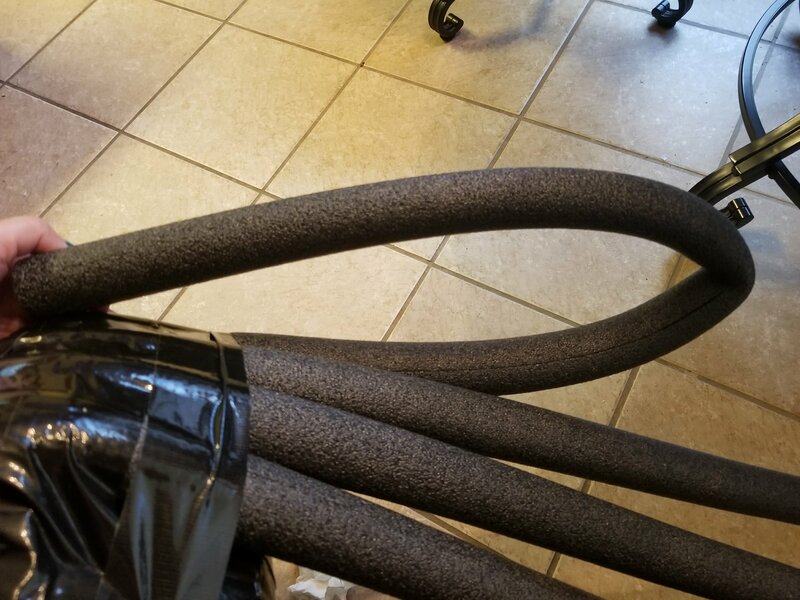 Place the four pieces of tubing where the ends are lined up equally. 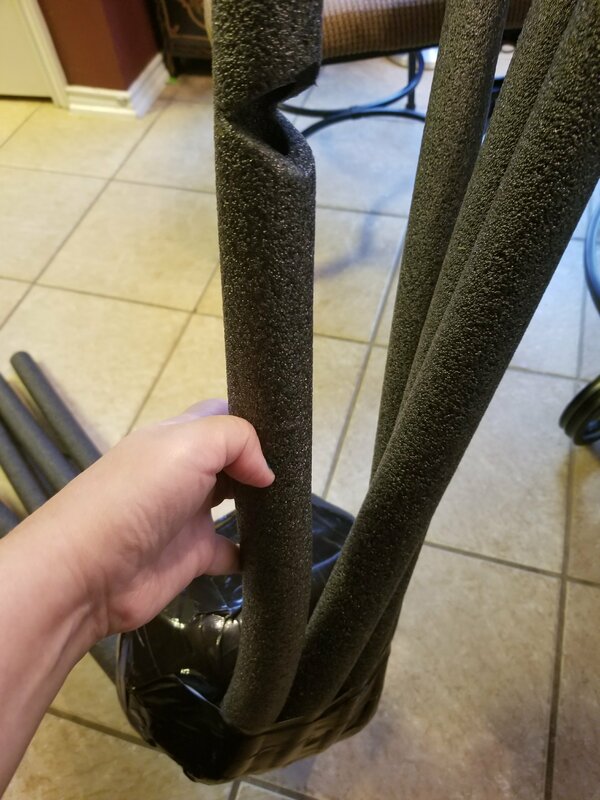 Now is when I used my assistant to help me hold the tubing straight. Tape across the marked area. You only need to have one tube marked for this. 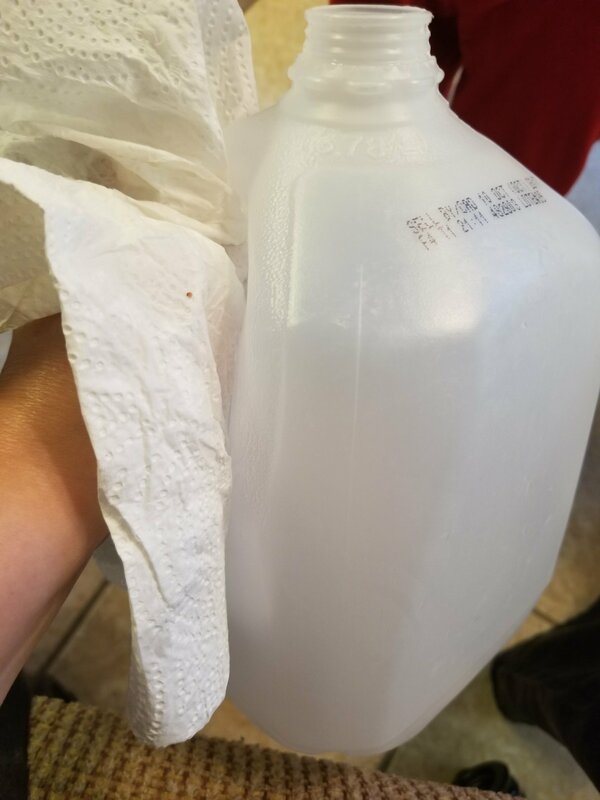 Next you need to tape off the milk jug. You could randomly tape across this, but your milk jug is almost square, I suggest horizontal lines. Cover all but the handle corner. Wrap all but the back corner panels of the jug (the area by the handle.) 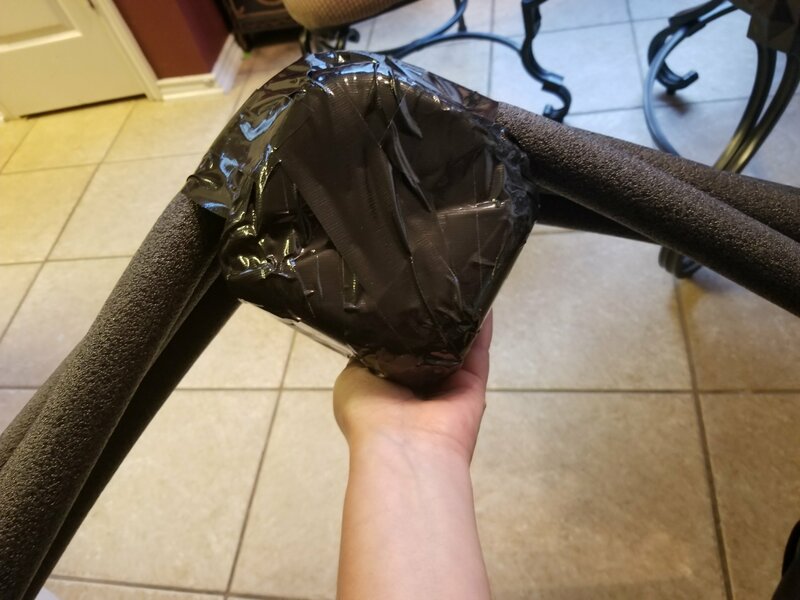 You can wrap the whole thing in tape if you like, but the legs will cover the back of the 90° angle, so you don’t need to. Cut the lid area off. 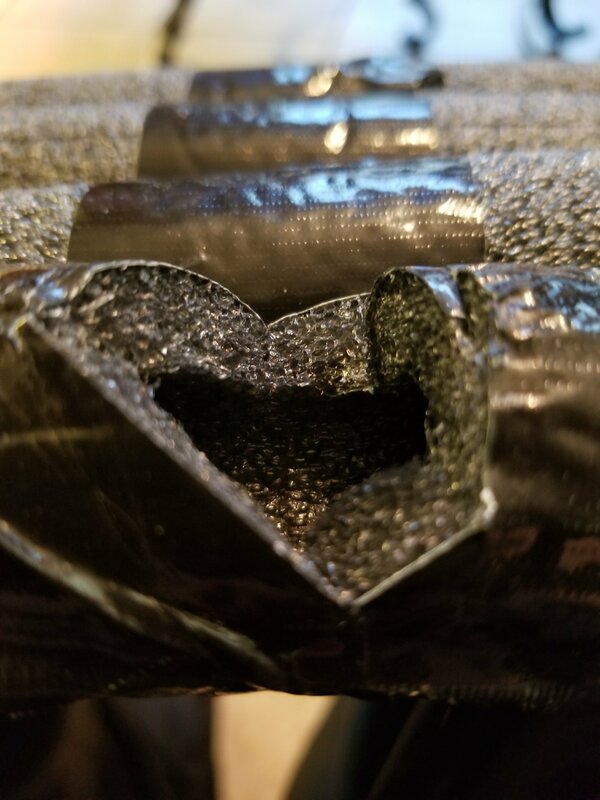 Don’t tape over the hole just yet. 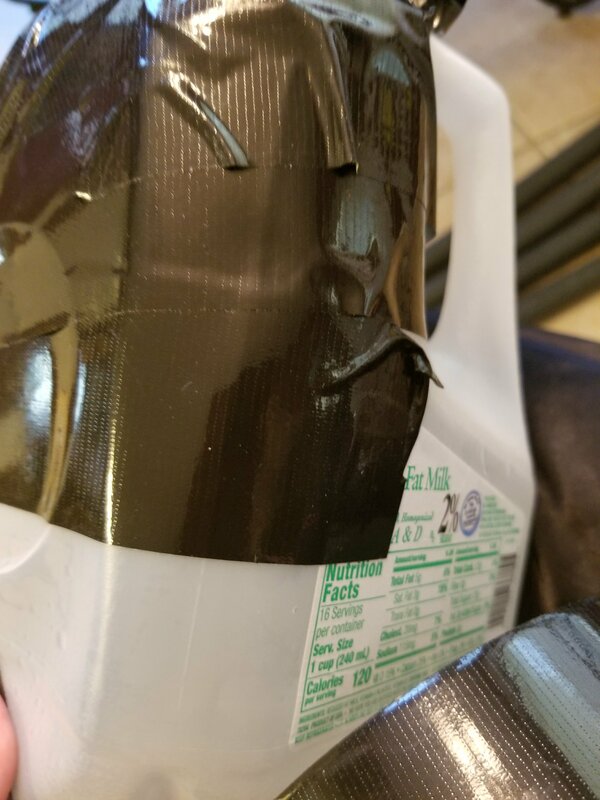 You will probably need to blow into the jug to puff out the sides that will collapse a little as you tape. Next cut U shaped cuts across the centered part you taped. 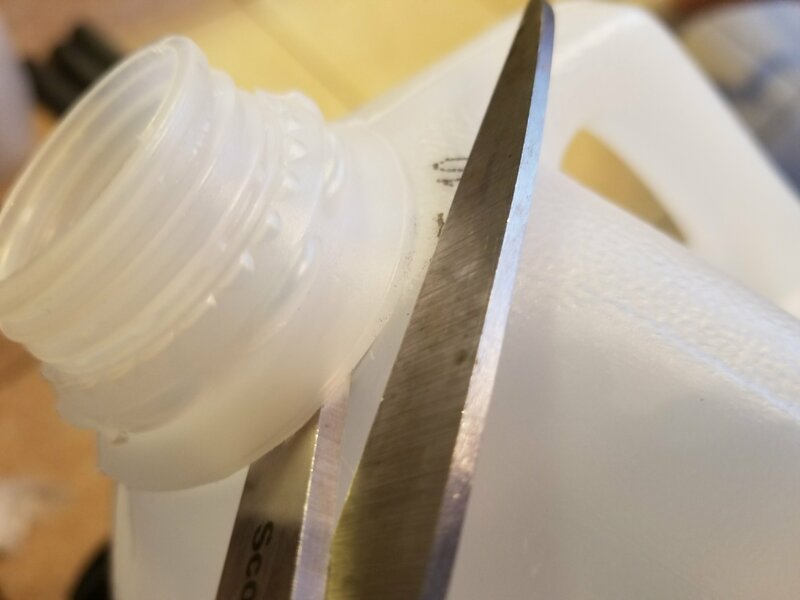 Line your cut marks along the handle of the milk jug. 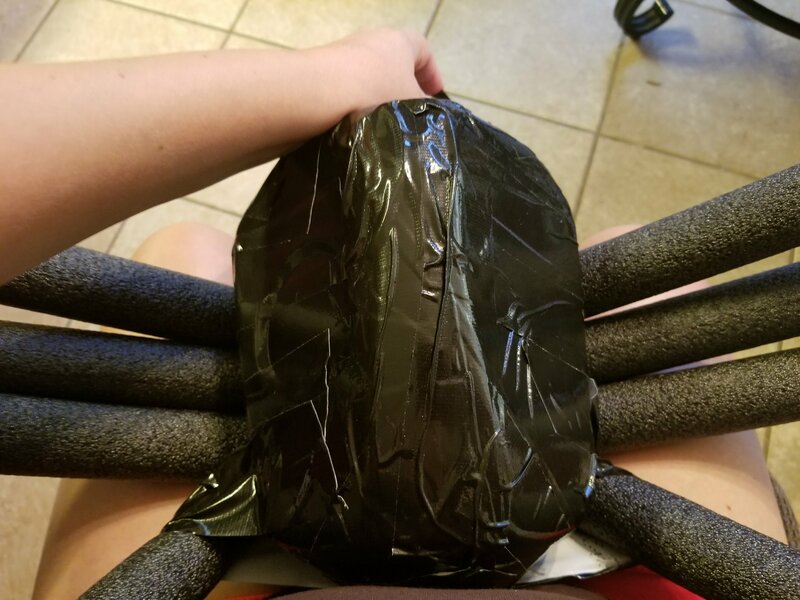 Now tape the legs to the body where the center of the legs is in a V shape and the feet are at an angle away from the floor. 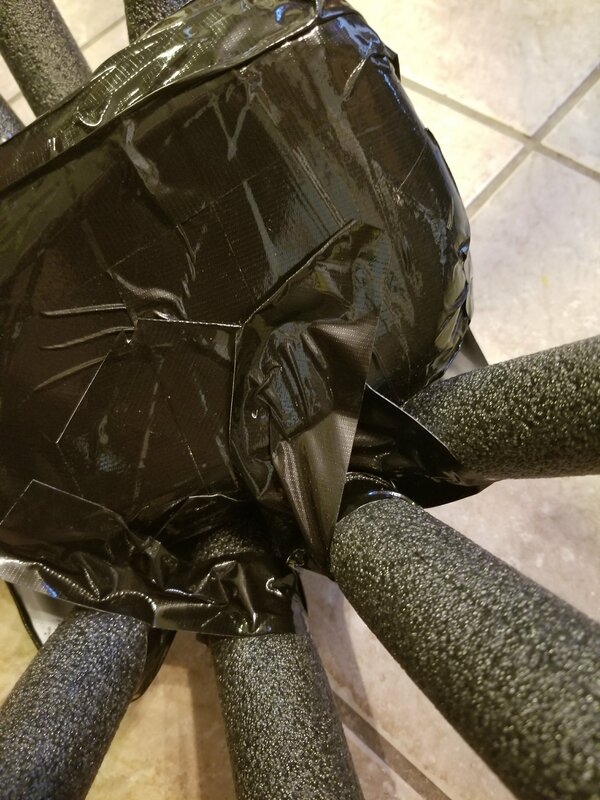 You don’t need to be too perfect, but leave area to adjust the legs with tape. Now bend one leg in half to mark where you want the leg joint. 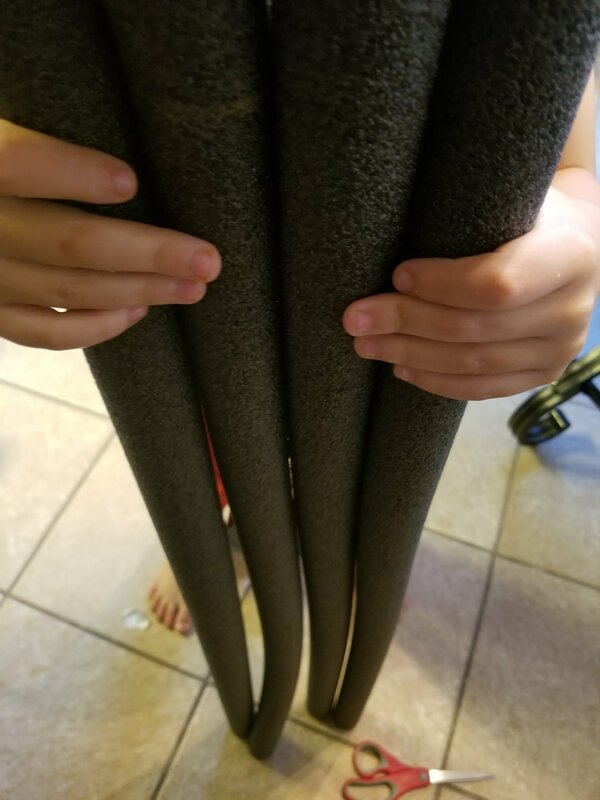 It should be about 1/2 of the length of the leg. Mark that fold with paint pen. Continue with all 8 legs. Remember to approximately match the legs on the opposite side. 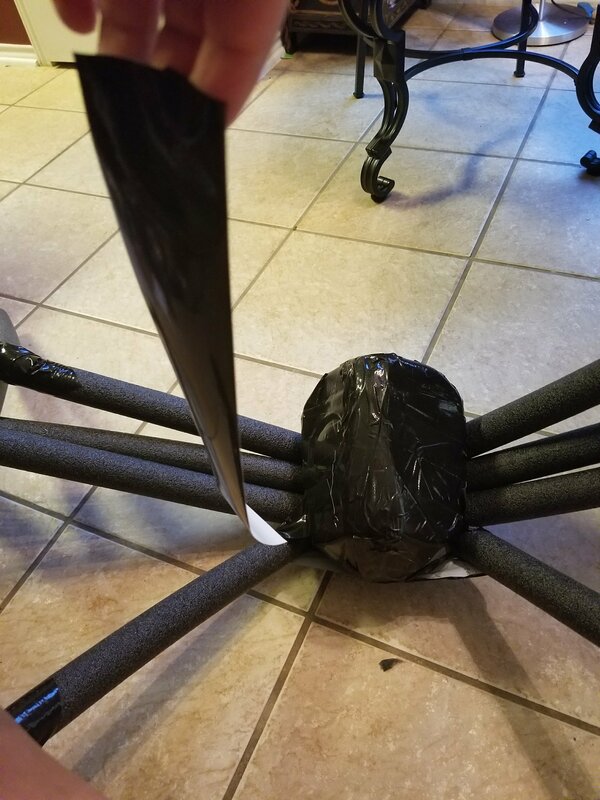 With the spider upside down: cut the joints like you did the center of the legs, except instead of a U, make a V. Remember the angle you cut should be at the same point in each leg to keep the legs angled correctly. Now it’s time to tape each leg joint. I found it really helpful to do this while the spider was upright on the ground. 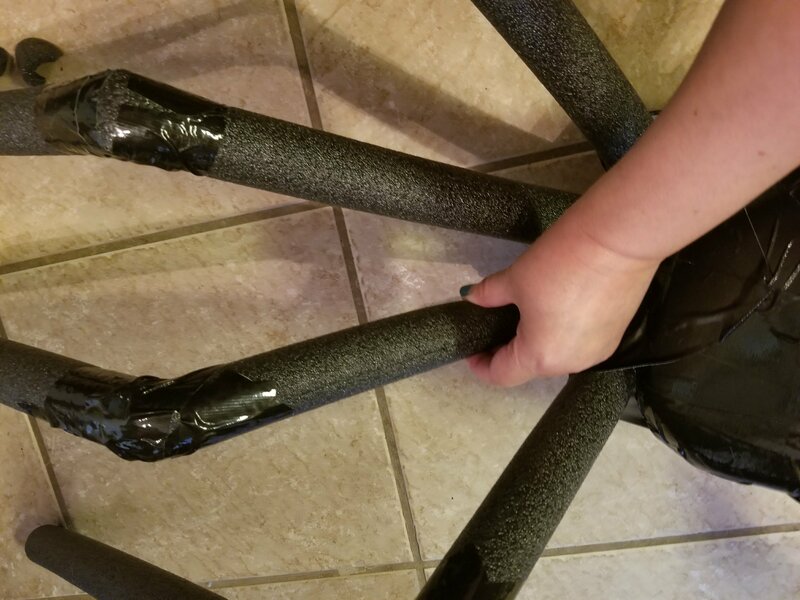 If you do it on your lap the legs will end up wonky and you’ll probably have to redo them. 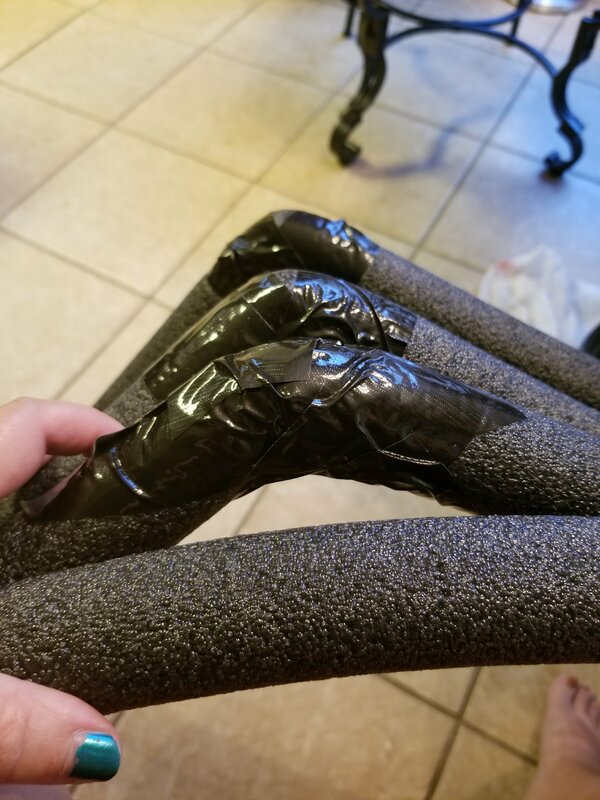 Luckily this is just tape and foam so you can fix things by just retaping or adding a new piece of tape somewhere. 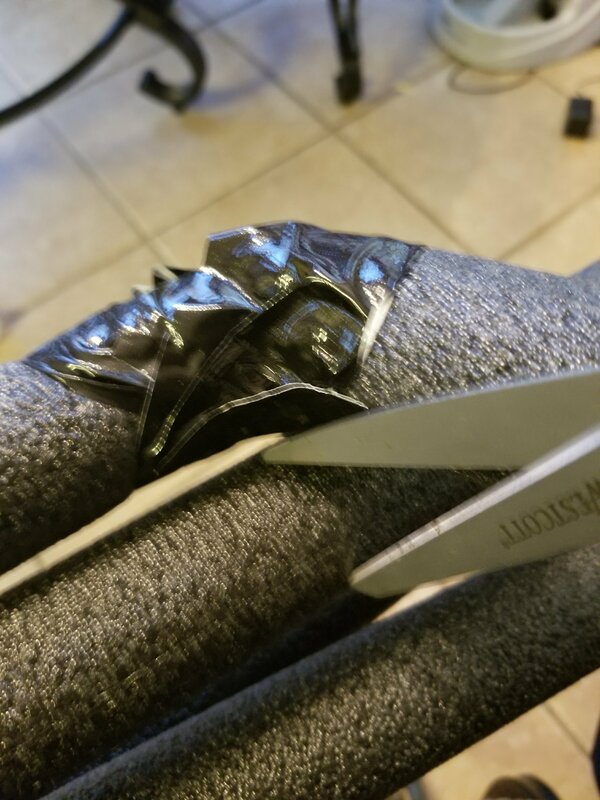 If you have too many layers down you can get around that mistake by cutting the joint back open and taping again. 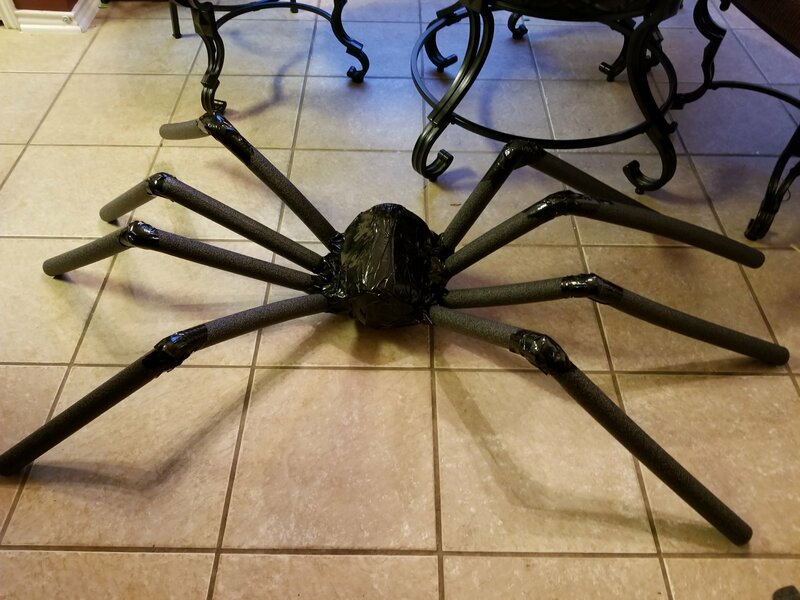 You can get an idea of what the legs will look like finished: while the spider rests on the floor. If you ended up with crooked legs: this is where you fix them. Tape a small circle around the base of the leg. 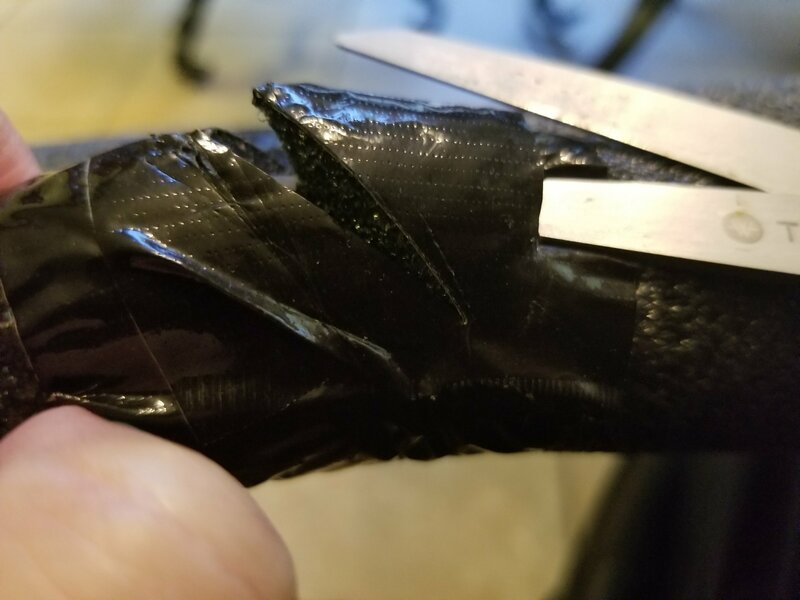 Hold the leg like you want it and then tape it that way. 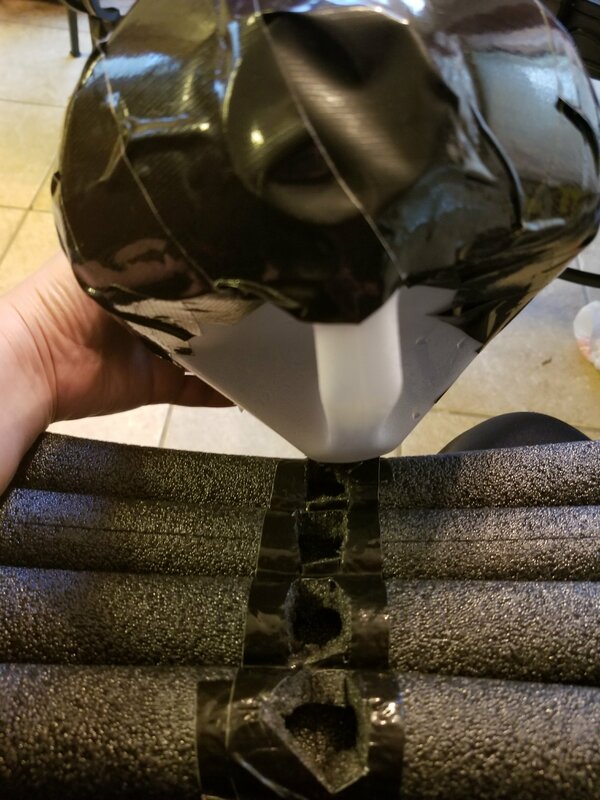 I ended up with a lot of waste during this part because I kept getting the sticky sides stuck together in tight spaces. This is the only frustrating part of the project. 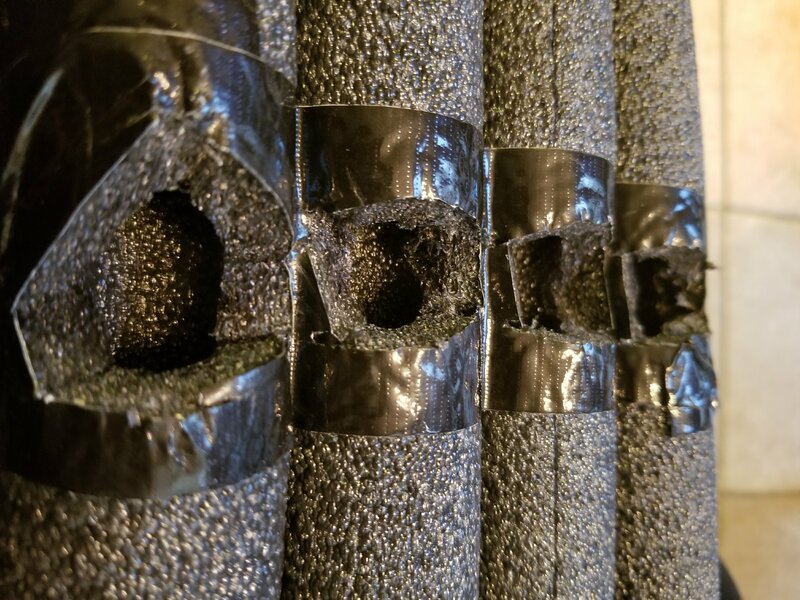 Remember that the tape might not permanently adhere to the foam but it will definitely adhere to itself! Holding, twisting and taping. 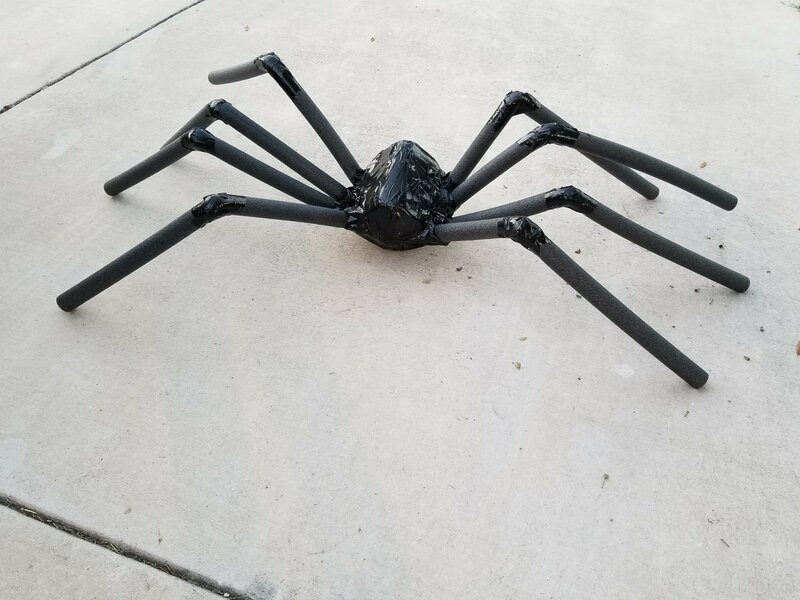 I have found that you should over correct to get the legs to stay in the right place. 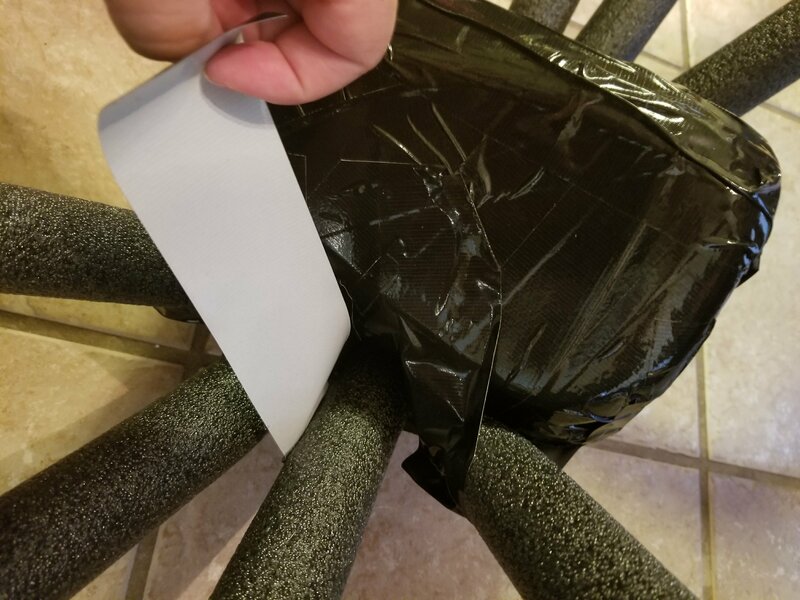 Now go back and tape over any exposed undersides of the tape. Use small strips. It’s extra work but it’s worth it! Angles should already be the way you want them. This is just to fill out the body and cover exposed edges. It also takes it from milk jug looking mess to spider! 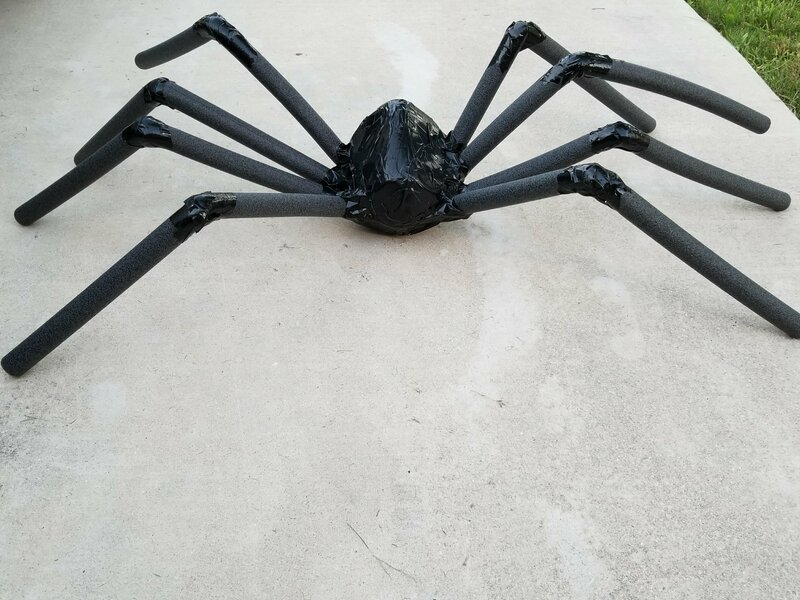 This year, I made a duct tape spiderweb on the concrete and hung the spider on the wall over our doorbell! 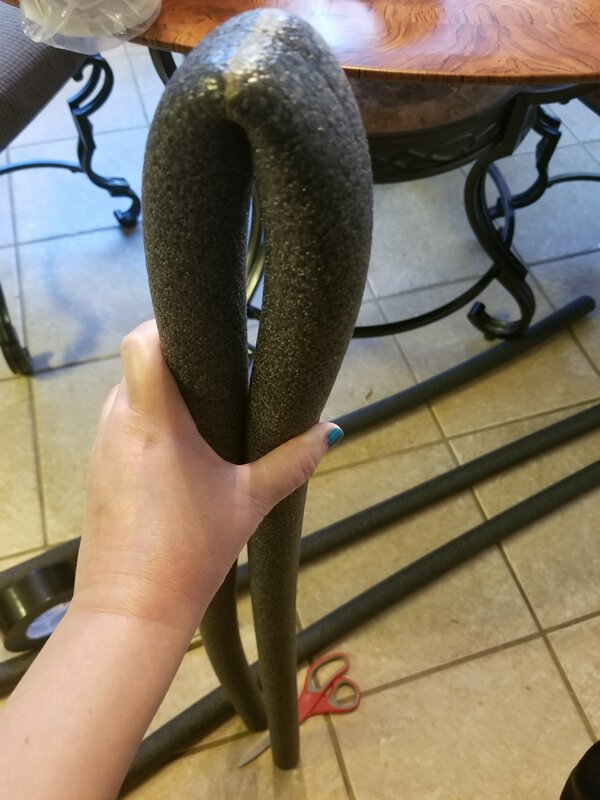 I taped a loop of pipe cleaner to the back and hung it on a screw. Then I taped the legs onto the brick and siding. I hope we don’t scare off the really little kids, but it looks fantastic! 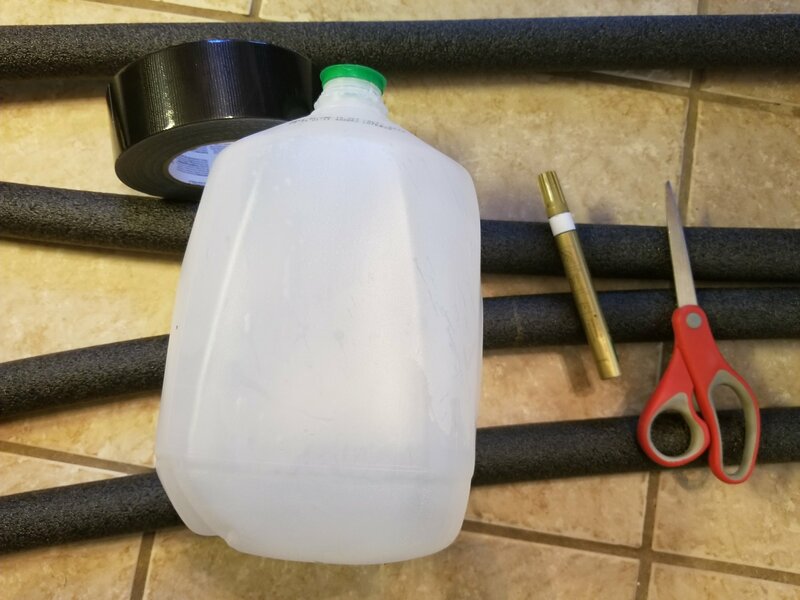 Interested in more awesome, cheap Halloween ideas? Try these!